The US based Aspen Institute, together with the MacArthur Foundation just released on useful report entitled The learner at the center of a networked world. The 115 p. report offers insight in the strategies that are put forward by an intelligent task force of experts in the field of Technology Enhanced Learning (experts from Google, UN, public libraries, national council of education, Microsoft, School districts, creative commons, Voto Latino, to name a few). The focus on open learning environments to benefit all is also a nice motivation to read. 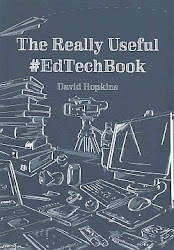 Bring Your Own Technology, digital literacy, connected learning, educators as guides supporting the student... all of the keywords of late are mentioned and put into a nice, useful overall framework. The report focuses on young students, but also puts forward pointers on getting the complete family and communities to which those families belong involved, raising their knowledge and digital skills as well. I like this more holistic approach, as education and specifically learning and knowing how to acquire new knowledge is increasingly important. The report is an easy read, and offers practical strategies and visions for implementing a more learner centered set up for both schools, as well as external (non school related) approaches. African American fourth graders being two and a half years behind white students. For this reason the task group has experts who understand the difficulties faced by these groups, and who have successfully tackled some of the challenges faced by those student groups. We first make recommendations for actions that will truly put learners at the center of the networks that can enhance and accelerate their learning. Parents and teachers need support to help them integrate new methods of learning into and outside the classroom. Community organizations, including libraries, museums and other civic and cultural institutions must become full-fledged participants in learning networks. We also believe that all learners and educators need a sufficient degree of digital age literacy, where media, digital and emotional literacies are present, to be able to use these learning resources to learn through multiple media confidently, effectively and safely. Every student must have a chance to learn these vital skills. The report additionally offers links to great projects and innovations. With all the changes that are happening in education (more online, more access for many students) the concept of the flipped classroom has gained a lot of attention, and it attracted a lot of researchers investigating its benefits and challenges. In the last CALRG conference, I saw a presentation of one of the prolific researchers on flipped classrooms in the UK (Beatriz de-los-arcos) who was mentioning a flipped classroom conference that is happening next week. The Flipped Learning Network is organizing its 7th conference (23 - 25 June 2014) on flipped classroom learning, and it is streaming the sessions! So you can still register for virtual participation, allowing you to hear and question the speakers first hand. Registering for the virtual conference will cost you between 109 - 149 dollars for the three days of the conference). For those in the neighborhood of the Mars Area High School near Pittsburgh, Pennsylvania - you can join the face-to-face group. have been released May, 2014, the FLN and Sophia conducted an online survey in February, 2014. 2,358 educators answered 36 online questions. During the presentation of Beatriz de Los Arcos (who is always ready to share her work in the OER Research Hub in collaboration with the Flipped Learning Network via http://oerresearchhub.org or her personal blog http://oscailte.wordpress.com), some people in the audience questioned the novelty of the flipped classroom. And it made sense, as good teachers will be and always have been innovative, creative people. A really nice blogpost was caught my eye thanks to Rovy Branon tweeting, a blogpost written by Mike Caufield, on the subject of 1972 flipped classroom approaches, and also with a really interesting link to the Hidden History of Online Learning (quite a nice cooperative wiki project that is open to anyone willing to participate). The new Udacity and AT&T initiative rolling out nanodegrees for people who follow specific MOOC or online courses in general has a logical and nice ring to it. The idea is simple: for all learners following a course successfully (= as indicated by the institute/corporation designing the course and its interactions/assignments/tasks), a nanodegree can be earned that illustrate immediate job skills and knowledge. This earning does cost: 200 $ per month (courses on average 6 - 12 months), but it is much cheaper then a college degree. As such Udacity goes for the corporate MOOC creation which (in part) addresses training people for specific jobs through MOOC. Smart move of course from Udacity to corner the more entrepreneurial need job/training market. And although other MOOC providers, such as Coursera do have similar tracks (i.e. specializations), Udacity seems to be a fore runner for this type of MOOCs. A definite bonus of this approach is that companies indicate niches in their workforce, resulting in courses that will indeed develop a capable learner into a potential professional for the job. The fact that the course offered is right on target of the job, also saves time (and costs) for all involved. And, the best learners come out of it based on their actual delivery, so selection based on color, race, ability might fade as a result (yes, utopia). And the fact that nanodegrees are also linked with scholarships to non-profit organizations is a bonus as well. It feels like really good news. In Europe you have entrepreneurial schools popping up, who listen to the industry to find out were there is a gap in the job market and offer courses to alleviate these gaps (iMinds academy is one). Jobs that will not make it into the future? So I was hopeful, good initiative to get people into jobs. But then my critical mind set in and suggested some possible downsides. I can see how many people (increased employment) might enter a contest to get jobs: the best MOOC learners get the position. And those who would go for these jobs - when reading the articles on the nanodegree from NY Times, seem to be the less financially secure. This means there is another divide and conquer tactic being set loose on an already sensitive population. And it would seem to me, that if a job can be learned in a fixed amount of time, it will be one of those jobs that vanish in the near future due to automation, Harold Jarche wrote on the subject of automation on several occasions (but in spite of this critique my other positive brain tells me: yes, but in the meantime people will gain some money in the process, that is good, any income enhances self-esteem, increases economic stability, will lift others as well). The idea fits in with what Mozilla started using open badges to allow informal certification to be offered when completing certain learning tasks or paths. But then again open badges can be provided for free, and tailored to any need or vision. While thinking it over and over again, I cannot seem to shake the feeling that the concept of nanodegree is much more a training following the industrial era (but I can completely miss the ball here, as the courses are still being constructed and might well be creative in their pedagogical approach), but it is the teacher (industry) who offer a fixed set of content and tasks (cfr old books and assignments) to learn to pass one specific set of tasks. So although this is indeed a new approach, purely on the basis of the corporate/job specific angle, it does sound like old school pedagogy). And those employees would not even be sure that they would actually be employed, even after attempting (and paying) several nanodegrees out of their own pocket. Thanks Rebecca! Creativity and replacing more expensive workers? From an economic point of view, there is this automation risk. Though I admit, first nanodegrees seem to have an openness towards creativity as front-end/back-end web developer come into mind, but of course not sure what is really meant by that or how open/creative this is envisioned. But there is more, once these types of courses become more mainstream, they might result in a discrimination of those who cannot afford the courses, and thus getting into a more difficult predicament. The first nanodegrees seem to target entry-level jobs, but there might be strategies being worked out for higher level jobs as well (digital skills, networked professionals). What about older workers? Is there a risk of more experienced workers being replaced by on-the-job-focused-less-expensive workers? If so, how to deal with that? Copying societal global North as model? And, if the jobs are provided by profit, then they are part of a chosen, institutionalized societal pattern, which always risks increasing those digital divides that already exist in that society. Additionally, it is a model coming from the global North, which means it has a colonial ring to it, and potentially transforms those norms and ways of working over onto other areas on the globe. All of us need to work for those, in jobs that are existing (yet possibly be extinct through automation soon). 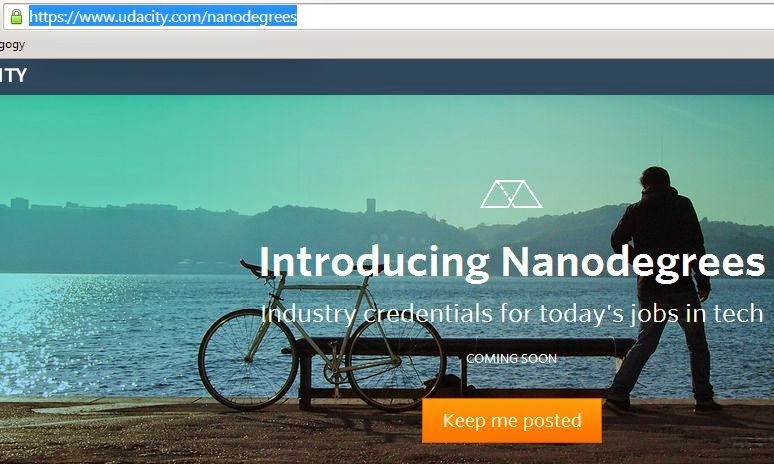 Do I like the concept of nanodegrees: of course! but it is always nice to ponder, reflect and try and figure out potential pitfalls as well. 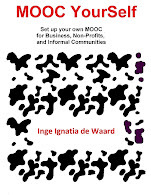 Thanks to my new contact Vivienne Bozalek from UWC, I got redirected to ROER4D (Open Educational Resources for the Global South or for development). She shared an interesting talk with Cheryl Hodgkinson-Williams from the University of Cape Town, South Africa. And as I was listening to this 30 minute talk, another OER movie caught my attention: Using OER for workforce development which was presented by Una Daly from the Open CourseWare Consortium. 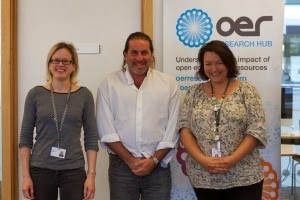 Which led to the OER use in an open course, which is (among others) done and shared by the Tompkins Courtland Community College through the Kaleidoscope project. This in term reminded my of a talk given by Stephen Downes on the MOOC of one, which in a small (but to me relevant way) links OER to personal learning environments. And that made the circle full from my perspective: global, local / personal and institutional / higher ed and corporate ... you cannot deny that OER has taken up speed, and has grown in importance. This of course turns the internet into a global content that can be tailored by all of us, to result in learning paths (personally relevant learning paths). One of the learning paths is to provide customized, or better yet curated content, but there are easier/quicker options as well, and one that sticks to mind (I saw this while I visited Quallcom in Cambridge) was Pathgather, a nice piece of software that enables people to map where they found/find useful content for their purposes, and which they can rate. From there other colleagues/networking peers can check out those shared learning paths and rate them in turn, to indicate how useful the path is for their own professional or personal development. But ... Pathgather is not an open educational resource or OER, nor is it Open Source, so it cannot (yet) be used in the open. Would like to see something similar in the open though. If anyone knows of such a tool, feel free to share. Here are some of the movies I have been listening to, and brief ideas or interests from each (there is much more content of interest in every one of those movies of course!). And a brief wrap up at the end, on why I find this interesting. ROER4D started (2012) as a project to see whether the claims being made by OER were actually true and could help the global south (increasing access to Higher Education, reducing costs, improving content quality in education, due to a shortage of teachers in the global south and lack of resources). And as most work is being done in the global North, there is a gap of proof and testing those claims. Another objective to look at ROER4D is to get a network going (next to testing the claims) in order to bridge the isolated spaces the current OER academics are in (for the global south, miles from conferences), and build a research capacity on OER in the global South. A wonderful thing about ROER4D is that they want to open ALL data, not only results, but the full process in order to provide this research capacity and insight (NICE!). Cheryll also mentioned some of the challenges and issues on ROER4D on global South: increasing amount of students, financial constraints and resulting pressure on educational institutions. Part of the challenge is about also keeping the research capacity inside of the global South (stop braindrain) and at the same time offer real insights into methodologies, analysis... and possibly allow the global South to develop contextualized methodologies from there. Important focus on community colleges from which students need to enter the job world, and need to understand how to be able to keep up with workforce development. From the labour department (US) they did push the agenda to create more OER for US based workforce development. There are increasingly more entrepreneurial schools, and they develop OER. Una also covers IP and copyright licensing options, as well as cost reduction options by using OER. Una also shares some good OER coming from government resources in the Public domain : NASA, Department of Labor, department of energy (all US). But she does mention that not much is known in the public about these high quality OER provided by government. She also shares the Saylor.org resources site (how to present yourself, where to search for jobs...), they currently have 23 courses on workforce development. The interest of this talk by Stephen Downes (INTED2014) is about the selection each learner makes when following online education that offers a big amount of content (OER). And to look at organic learner dynamics as a space that can be used for OER. Stephen also focuses on the learner, but specifically the process that becomes ever more important to learners to understand what they need to do/have in order to become critical learners using OER (and non-OER). A nice concept launched is the semiotic approach: the learner trying to make sense of the world (meaning, context, representation), and in addition the critical/digital capacities being made by the learner for personal use (trying to make sense of our own experience, knowledge). And in sharing among all of us, concepts are constructed, OER take shape. Multiple viewpoints to create meaning, but looking at it from the personal perspective. This short (5 min) video shows the process and adoption of an open course, as it was experienced by the Tompkins Courtland Community College through the Kaleidoscope project. Enhancing "awareness" of learners and other participants involved in learning processes by technology means augmenting formal or informal learning experiences, typically in real-time, with information on progress, presence, outcomes, workspace, and the like. Supporting "reflection" means enabling learners to capture, adapt, re-evaluate, and share experience in anticipation of future situations it will prove relevant to. Reflection supported digitally is a creative act, adding sense and meaning to experiences made. Combining support for "awareness and reflection" bears huge potential for improving the learning and training with respect to utility, self-regulation, usability, and user experience. This 4th ARTEL workshop brings together researchers and industry from different backgrounds to discuss and advance support of awareness and reflection for learning. This year’s workshop will run under the headline ‘application in practice’, additionally emphasising feasibility and sustainability aspects in education and in the workplace. The workshop seeks to attract both research results and work in progress in order to chart out the current state-of-the-art and to define main enablers and future challenges. Naturally, it will serve as a forum for establishing new collaborations. The workshop will therefore include both presentations and discussions of research insights (papers), as well as a demo and prototype slam. Using presentations as catalyst for continuing post-talk debate, the workshop will conclude the day with an open discussion exchanging ideas, summing up, and defining a medium to long-term research agenda. The main findings and highlights of the workshop will be presented back to the full EC-TEL plenary in the wrap up session (see main programme, once available). 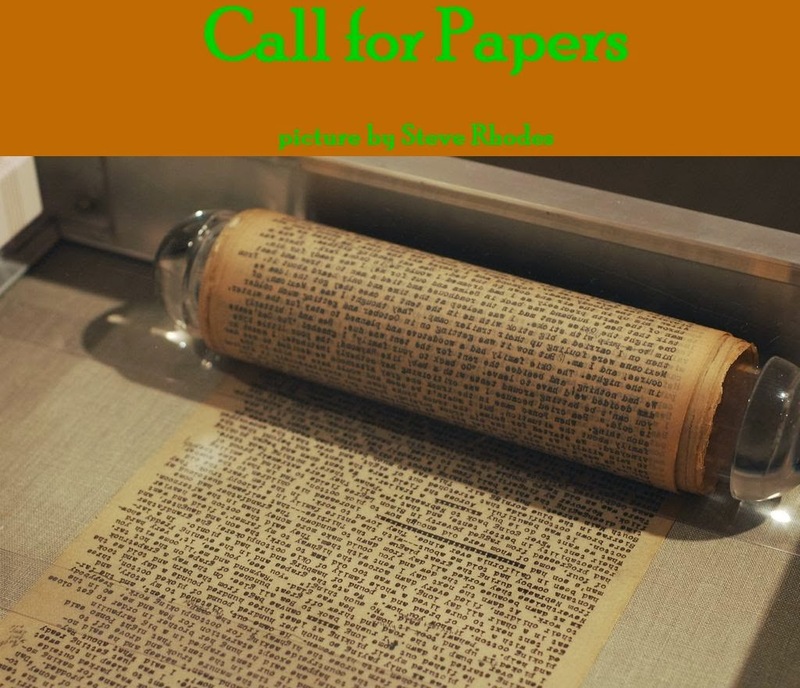 Authors are invited to submit original, unpublished work as either a full paper (limit: 15 pages), research note (limit: 7 pages), or demo (limit: 3 pages). Full papers thereby report on novel theoretical, empirical, or development work, including a significant contribution to the field. Research notes report work in progress to share early insights with the community. Demos describe novel prototypes, design studies, or tools, which can be shown and further discussed during the workshop. ARTEL14 will award the best paper and demo submitted. Sharing some of my concerns/doubts/directions on my PhD. Feel free to provide your insights or remarks. After considering heutagogy as an addition to my PhD frame, and revisiting potential research questions based on the two pages shared previously and resulting comments , I would like your feedback on the next potential research questions (and dilemma’s). The provided research questions are followed by a very brief rationale, to (hopefully) allow you to see why I am making certain choices for my research. How do experienced online learners manage self-determined learning when engaged in a MOOC? Sub-questions (I want to cover: peers/people, technologies/objects, leading to learning success with my sub-questions, as I think those make up the parts of the central question). 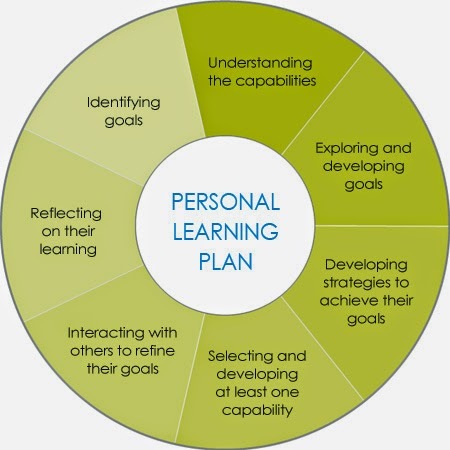 · What (if any) are the objectives (question Inge: goals more linked to andragogy, on the other hand goals are broader than objectives) of the learners during their learning journey? 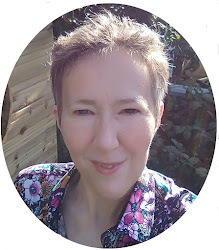 · Who do learners connect with to reach successful SDL? · How do learner goals relate to learner outcomes? I have tried to share some brief content here to sketch the background of my research questions. Central to the whole research is the idea put forward by Hase and Kenyon (2001): “the learner decides what and how to learn”. Which brings the learner into a central position and makes the content and actions offered by any one teacher or any one institute outside of the learner secondary to what the learner wants/needs. This consideration makes me think that learning moves even more towards informal learning, as only curricula/courses/modules made by the learner her/himself would ever allow formal learning to answer the learner’s need. A next step in reformulating the central research question is based on the path moving from pedagogy, to andragogy, to heutagogy. This overview gives rise to my doubts on which vocabulary to use for my research question, as different words are used and they can have different meanings. Columns 1 and 2 from Burns, R. (1995). The adult learner at work: a comprehensive guide to the context, psychology and methods of learning for the workplace (1st ed.). Chatswood, N.S.W: Business and Professional Publishing.Column 3 from Hase, S., & Kenyon, C. (2000). This means the learner is increasingly more in control of what is learned, and particularly why they want to learn it, and which effort they are willing to put into it. The research participants will be selected on the basis of prior experience (rationale briefly mentioned above). Learners that have been using social media or have been engaged in online learning for 1 year or more (I might pull this up to 3 years, but still trying to find more data to support a more specific choice (1 year covers experience, but maybe 3 years indicates online experience having been built up that can be transferred to new learning environments or settings). · positive values (Hase & Kenyon, 2000; Kenyon & Hase, 2010; Gardner et al., 2007). (the above mentioned paragraph comes from the Community of Practice Heutagogy site). But if self-determined learning acquires competency and capability, researching experienced learners and their SDL in MOOC will give insights in how other MOOC learners might guide their SDL to become more experienced learners. Once the research questions are chosen, I will review the used methodology and see if that needs to be adapted and I will write out the questions/instruments to be send to the ethics board. In parallel I am writing an additional section into my literature review on heutagogy. 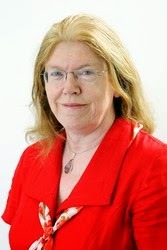 Canning, N. (2010). 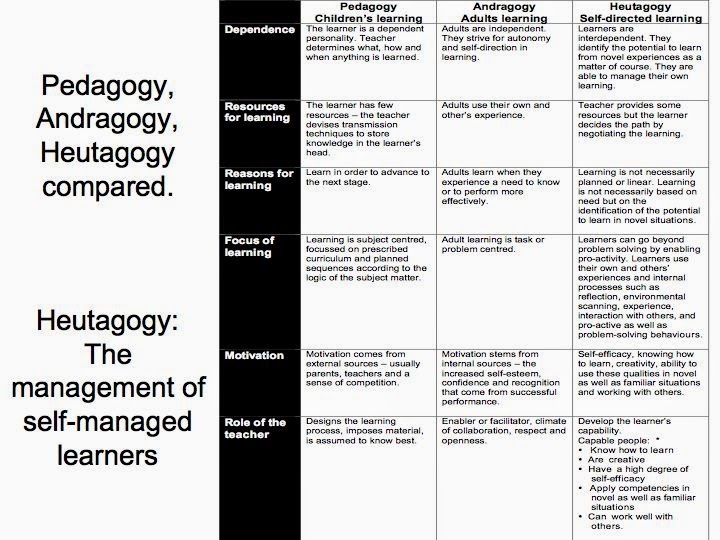 Playing with heutagogy: exploring strategies to empower mature learners in higher education. Journal of Further and Higher Education,34(1), 59-71. Kenyon, C., & Hase, S. (2010, August). Adragogy and heutagogy in postgraduate work. In Meeting the challenges of change in postgraduate education (pp. 165-177). An abstract summarizes, usually in one paragraph of 300 words or less, the major aspects of the entire paper in a prescribed sequence that includes: 1) the overall purpose of the study and the research problem(s) you investigated; 2) the basic design of the study; 3) major findings or trends found as a result of your analysis; and, 4) a brief summary of your interpretations and conclusions. The introduction serves the purpose of leading the reader from a general subject area to a particular field of research. It establishes the context of the research being conducted by summarizing current understanding and background information about the topic, stating the purpose of the work in the form of the hypothesis, question, or research problem, briefly explaining your rationale, methodological approach, highlighting the potential outcomes your study can reveal, and describing the remaining structure of the paper. A literature review surveys scholarly articles, books and other sources relevant to a particular issue, area of research, or theory, and by so doing, providing a description, summary, and critical evaluation of these works. Literature reviews are designed to provide an overview of sources you have explored while researching a particular topic and to demonstrate to your readers how your research fits into the larger field of study. The methods section of a research paper provides the information by which a study’s validity is judged. The method section answers two main questions: 1) How was the data collected or generated? 2) How was it analyzed? The writing should be direct and precise and written in the past tense. The results section of the research paper is where you report the findings of your study based upon the information gathered as a result of the methodology [or methodologies] you applied. The results section should simply state the findings, without bias or interpretation, and arranged in a logical sequence. The results section should always be written in the past tense. A section describing results [a.k.a., "findings"] is particularly necessary if your paper includes data generated from your own research. The purpose of the discussion is to interpret and describe the significance of your findings in light of what was already known about the research problem being investigated, and to explain any new understanding or fresh insights about the problem after you've taken the findings into consideration. The discussion will always connect to the introduction by way of the research questions or hypotheses you posed and the literature you reviewed, but it does not simply repeat or rearrange the introduction; the discussion should always explain how your study has moved the reader's understanding of the research problem forward from where you left them at the end of the introduction. The conclusion is intended to help the reader understand why your research should matter to them after they have finished reading the paper. A conclusion is not merely a summary of your points or a re-statement of your research problem but a synthesis of key points. For most essays, one well-developed paragraph is sufficient for a conclusion, although in some cases, a two-or-three paragraph conclusion may be required. The Maseltov project on mobile incidental learning services to support language learning and the social inclusion of recent immigrants was presented by Mark Gaved . Particularly interested in lower education people, which has an effect on employability and all the other challenges faced by immigrants moving from their original country to other countries. Incidental learning is described as “… unintentional or unplanned learning that results from other activities”. It can also be event-driven, or can lead to structured learning, it is peer based teaching and learning that is highly relevant, and there is an ongoing development of a framework being made. They want to move beyond solve immediate needs/immediate situations. So can we move from fragmented, immediate solving to durable, new behaviours, building their confidence. Maseltov is into its 3 year, and they are building services: finding local help, social network connection, information resources, translation, navigation guide, language learning and serious games (e.g. fun, but results in purposeful reflection and need). overcoming barriers to practicing just in time oral language skills. During the #CALRG14 conference, something emerged in my minds eye: fluidity and the move from fixed learning outcome driven education to more fluid information sharing and resulting knowledge. The Open University, and all universities for that matter, are traditionally interested in providing information to construct field related knowledge, which is assessed, and possibly results in some sort of certification that can be used for personal satisfaction or professional enhancement. But during CALRG14 the focus on informal learning, and specifically the move towards students (e.g. students linked to the NQuire project using informal learning with young k12 students) and adult amateurs (= this term was used most of the time to describe adults that are interested in a particular field but did not (yet) have the opportunity to become expert in it) producing not only content, but also their experiences as they get more experienced in either the learning platform, their collaborative capacities, and their content insights. So in a way I got the feeling that education, or what is taught, is moving from expert stages towards experienced peers with certified experts guiding the peers that want to enhance their field of expertise in a certain topic. What Bernard shared coming from just one really prolific MOOC learner covered this personal drive towards knowledge that we - as learners - are willing to access and embrace. Another big strand of what was shared during this conference, was the increased use of meaningful analysis tools: best example I heard was the Juxtalearn approach which looked at concept coverage and connected it to actual assessments (which were any types of quizzes), as well as concept hurdles that were self-reported by teachers/students. We live in such creative times! As the rigid printed books are being exchanged for continuous beta content (great share on the subject of Dialogic by Rupert Wegerif on how printed books might have been the reason for closed education as born during industrial era), and as such the books make room for beta status learning platforms and even mash-ups that can be built or designed based on participatory input to improve learning as expected by different learners and their contexts. The ideas that stuck in my mind all evolve around similar key words like: personal path finder, learning goals, learning journey, meaning making, shared meaning, ... personal learning goals and how to reach them as a learner whether expert or not in a specific field. Anyone having a case or project involving mobile learning (mlearning) and Science, Technology, Engineering, and Mathematics (STEM) in K12 or other, use this wonderful opportunity to reach a wider audience by sending in your case for the upcoming publication edited by the inspiring Helen Crompton and John Traxler. They are looking for studies on the use of mobile learning and STEM that combine two or more subjects in one study. All accepted cases will be published in a Routledge book. Deadline for one page summary of the study is to be submitted by 1 July 2014, so it is quick, but feasable for a one pager summary. If your summary is accepted for publication the full article needs to be in by 1 October 2014, so you will have ample time. words, educators worldwide will be able to envisage similar activities being used in their local schools. I saw Bernard at the EU MOOC in Lausanne, Switzerland, where his then talk was already of interest, so I was looking forward to this new talk here as well. And indeed Bernard again provided a great talk, as it provided practical insights into successful mooc learning from a practitioner. His focus is again heutagogy (what I am also looking at): self-determined learning or heutagogy (Canning, 201; Canning and Callan, 2010, Anderson 2010, Blaschke, 2012), so again this term has potential (we can all feel it). This case focuses on AB from Bangladesh who followed 32 MOOCs successfully (passing, getting a certificate for 28 MOOCs, and browsing meaningfully for others) in 1 year. He is a college student. This means he was in college and took MOOC on top of what he was learning. 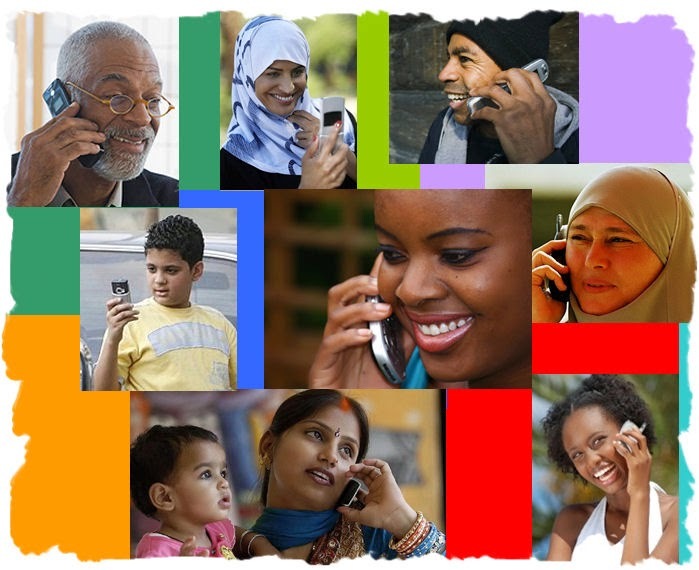 This is a single case study, interview based on phone and skype interviews. Everything was transcribed, and shared with participant for meaning. “when I showed certificates to my teachers, they appreciated me, … I became an important person to my class… I was given honour”. Prioritizing: make a list of things and work on most important ones first. All through: with passion and perseverance: he retook the first MOOC, as he failed it at first, because he needed to move to a different village for internet access. Which is why he failed, and wanted to take it again. The study shows that although MOOCs have mostly been beneficial to highly educated learners from developed countries, this case shows also opportunities to specific learners. A GREAT session on OER and their impact. Two year project, which partnered up with other foundations. They have a fellowship scheme. And for those interested in OER research hub videos, look at their YouTube channel (nice list of relevant multimedia content). And as such they also only publish in open access journals (hooray!). Get CC savvy, open habits: making stuff with the daily create, intro to course. Overall course review and check for consistency, use of external materials, etc. After that an open review process (note to myself: of interest as a course development/assessment for open MOOC): community review. course start date: 15 September 2014, and you can take all the materials as a third party and use the course inside your own institution (with CC and BY). Week 1 =>what is open research? Sharing two slidedecks: one from the talk by Rob Farrow (followed the one from Beck) and one from Beck. This is not the actual slidedeck of this presentation, but with lots of slides that came up. My notes above hopefully compliment some of the ideas shared by Beck. In his Jon Rosewell's talk on the OpenupEd quality label: benchmarks for MOOCs, he covers some reasons and practical benchmarks currently used to assess quality in MOOCs that are on the OpenupED EU MOOC platform. (nice sidenote: the first EU MOOCs rolled out on the platform did not go through the complete process, as people wanted to get the MOOC out there, and they came from institutions with strong quality assessment in their set up). So why bother with quality? Does that matter? With very large starting numbers, there are still many learnes copleting and maybe learners achieve personal goals even if they do not complete. Can MOOCs encourage access to HE if >90% have an experience which is a failure (note from myself: the same can be said about any institutionalized education, many young pupils are unhappy with education as well, so what is new?). Often MOOCs come out of HE at this point in time, which means the approval pattern of these moocs are related to Quality assurance linked to the university that wants to roll them out. User recommendation is also coming into the evaluation of a MOOC. more benchmarks OpenUpEd in slidedeck. 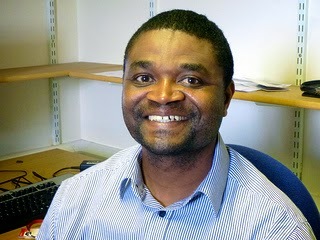 From the CALRG conference in the Open University, Milton Keynes, UK. A conference on sharing latest ideas in online learning related fields (broad and interesting). Eileen is a tower of power and vision, as she is always ready to share latest ideas and insights, amongst who wants to listen. Her talk was of interest. My notes are live blognotes with its resulting short or quirky sentences. (in case you want to join the next Learning at Scale (Vancouver, Canada 2015), look at their site here. Single track conference (so you could go to all the tracks, which was really nice). Chris dede keynote New wine in no bottles: immersive, personalized ubiquitous learning: thinking outside the box of teaching is essential to realizing learning at scale. Virtual worlds and augmented realities can complement digitized classroom instruction through simulated apprenticeships, embedded support for learning everywhere, and transformed social interactions. Going big also requires thinking small: analyzing diagnostic mircropatterns to customize individual learning, sifting through millions of participants to find the ideal partners to aid each other's growth. To reach massive with universal access and powerful outcomes, we must creatively expand our visions of platforms, pedagogy, and financing. Very lively conference, as people were voicing their ideas, felt they could, all had experience. 39 applications across the board. Case study Ednburgh: ESSQ was shared. Colleges will be taking a more scinetific approach to online learning than in the past relying on their schools of education to measure student learning and provide feedback. Shared detailed stuff on forums, and other data. Results that it is not a residential experience (a MOOC), if you want to find out what happens in EdX, you can just google report and get it. Very open with detailed information. So seems that there is a difference once something is not for profit. Built on the core principles of learning advanced by CMU's Nobel Laureate and pioneering educator, Herbert A. Simon, whose work linked cognitive models of learning with computation tools, the Simon Initiative makes the learner its focus and measurably improving learning outcomes its goal. The Simon Initiative will harness the university's vast technology-enhanced, educational ecosystem, which goes beyond the university, embraces the whole of society, which makes universities move beyond their individual concerns, very interesting. Lyticslab (Stanford): 4 or 5 postgrads got together in september 2012 with focusing on what was needed for them to research MOOC. They ended up asking two main professors to head the lab. So it came from the students. "She will complement the strengths we have in studying the effect of context in learning and research on the role of technology in education, and can tie a lot of these things together. She can help us transform what would otherwise be independent, somewhat fragmented efforts into systematic improvement of this kind of pedagogy' Steele Head of GSE. At this point the Lytics lab did transform, but it is still of interest. "With the arrival of online education, the world is on the verge of a "epochal and pivotal moment' in the history of higher education on a scale of importance as deep as the expansion of higher education after World War 2 with the GI bill". In stanford it looks as a much more instruction led approach, more then EdX. Academically driven. Things are moving very fast, and you need to visit people in order to understand what they are doing, in terms of vision, of research, and look for international partnerships. To infinity and beyond.